At Muvi, we periodically update your mobile app (Android/iOS) when a new feature is added to our platform. The app gets updated in the app store (Google Play/ iTunes App Store). If the automatic update option is enabled in the device of the users, then the app gets updated automatically. 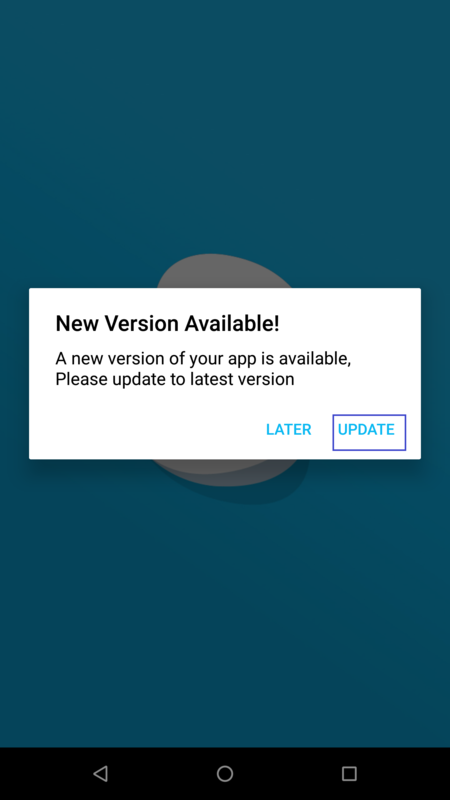 The users can also select the app update option when they receive the popup to update their app. When we update the app, your users will get the update if they have installed the app from the app store. They will get a popup to update their app (See Below Screenshot). When they will click on the update, their app will get updated automatically. However, in case of Alpha mode and TestFlight mode when you click on the popup to update the app it will show you a message that the app is already updated. In that case, it will not allow you to update the app. You can ignore this, as your users will get the updated app as they have installed it from the app store.